USBC has athletes and ambition but no boat. Please support our women in their efforts to buy an eight and help them to reach their goals! The future is looking even more promising but we need your help! 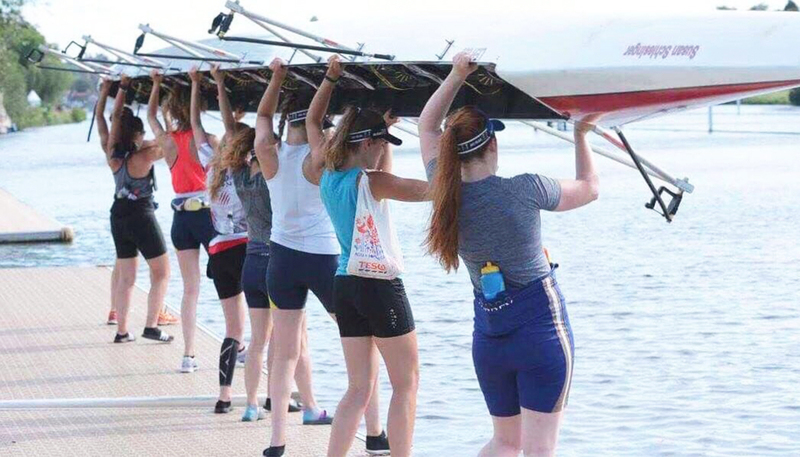 What is a Rower Without a Boat? We are lacking equipment for our women’s squad. Our immediate priority is to buy a lighter boat, specially designed for women, who are currently using a men’s boat which is too heavy for us. This will ultimately allow both men’s and women’s squad to have efficient, valuable training hours and allow us to train simultaneously. Our primary target is £5,000 but we are aspiring to a total of £22,000 to cover the entire cost of the boat’s purchase. Our vision is to develop more world class athletes in the process and see an equal number of women and men competing in Olympic rowing for the first time. With your support, we’ll manage to buy a new boat allowing us to enter the 2020 Olympics in Tokyo. Be the current that pushes us across the finish line!